Get gig-ready power in an ultra-portable head. 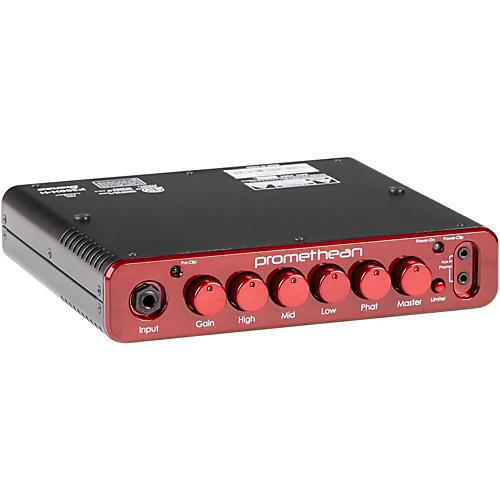 The Ibanez Promethean P300H 300W bass head offers high-powered play in a portable, lightweight platform that you can toss in a backpack. It features a simple 3-band EQ, phat control for enhanced bottom- and high-end shaping and a built-in limiter. It also boasts an aux. input for jamming along to your favorite songs, a headphone output, an XLR line out with -20 dB switchable padding and ground lift. And the whole package weighs in at just 4.8 lbs. Dimensions: 9.4 in. x 2.1 in. x 9 in.